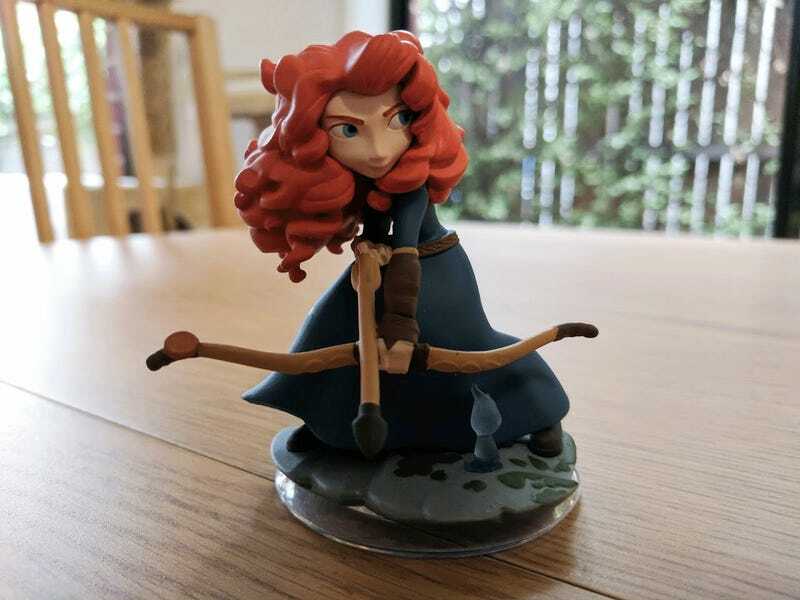 Last month, the servers for Disney Infinity—once aiming to be the biggest thing in video games and toys—were quietly shut down. It’s fitting for the game’s sad demise that few people even bothered to notice. We knew it was coming, of course: we were told in July 2016, not long after Infinity’s cancellation, that the game’s slow death march would begin with the stripping of the PC and mobile versions from app stores at the time, and continue until March 2017 when one of the cornerstones of the project—its online services—were closed down. This has now taken place. Where once half the point of the game was building new levels and worlds for others to play in, and downloading those made by fans from across the world, Disney Infinity is now strictly a local experience, each copy’s playsets limited to what the user is able to cobble together. Coupled with the lack of new titles or toys, and the fire sale of figures that took place throughout the back end of 2016, this effectively marks the end for Disney Infinity. Yes, you can technically still buy a copy, but the heart of the game is gone. And I’ll miss it. As a grown man I never had much time for it, finding the first edition of the game to be a terrible platformer with a UI wholly unsuited for the children the game was aimed at. But as a Dad, whose kids got old enough to really get into the game just in time to see it die, I’m sad to see it go. While it was never able to recover from its reliance on text menus (Nintendo knows what’s up there), the second and third editions of Infinity made great strides in making the game fun to play. The Star Wars games in particular ended up being both the first and last examples of how entire cinematic worlds could best be captured within the confines of Infinity’s design, as they were able to remain true to the game’s “do anything” philosophy while still feeling like they were an actual Star Wars experience, not just a reskinned Infinity level. After they’d wrung every last drop of fun from the official Infinity playsets, though, my kids spent most of their time in the game’s Toybox mode, downloading dozens of the weird and wonderful stages fans from across the world had made and shared. My daughter also loved constructing her own intricate takes on Frozen’s Arendelle, while my son just...built stuff. Cities, platforming challenges, whatever he felt like bolting together. I’m normally pretty strict on my kid’s gaming time, but with Infinity, I was often content to let them play for hours because, unlike most other video game experiences available to them, it was never really about the game. They never got frustrated at losing, or dying, or not being able to progress past a certain challenge. There were never thrown controllers, or shouts of despair. 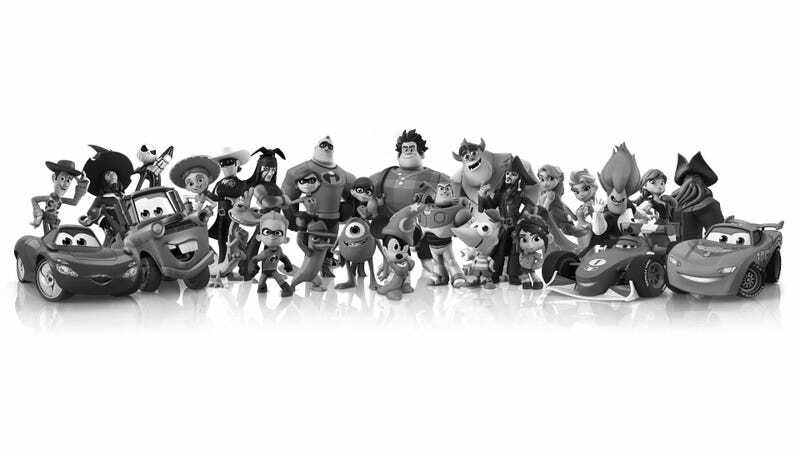 Seven months later, the sad stories just keep on coming out of Disney Infinity’s cancellation. Any time my kids played Infinity, they’d be laughing, high-fiving, eagerly planning and ambitiously collaborating. It was fun to play alongside them in moods like that, but it was also fun to just watch them enjoy it, their synapses on fire as they took random pieces from their favourite movies and smashed them together on the screen, building something that might have originated from the parts of something else, but which as a whole ended up being theirs. This is a big deal! Almost every other game they play, aside from the odd round of Mario Kart, is a solitary experience. Not because they’re introverts, they just have very different tastes, both in the properties they’re fans of and the kinds of games they enjoy. So there’s rarely a game that they’re both so into that they’ll want to play it together. Infinity, though, cast its net wide enough across the Disneyverse that they could both always find something or someone they liked and use that as their entry point. One could be Stitch and the other could be Thor and hey somehow they were both in the same video game. They don’t play the game anymore. Ever since the servers went off last month, their motivation to build and share things has gone, because...they can no longer share the things they (or others) build. And it’s not like they’ll ever be buying any new playsets for it (I had to break it to my daughter after seeing the movie that, no honey, there won’t be Moana Infinity toys). Which is sad, but if there’s solace to be found in the inevitable (if in this case premature) demise of an online-focused video game, it’s that long after the servers are gone, Infinity’s greatest legacy will still be around. I’m talking about those toys. They are magnificent, and no server shutdown will ever change that. Infinity might not have been the first (or last) entry in the “toys with games” market, but it remains the best, with its figures boasting a better build quality and paint job than any of the competition. The toy’s greatest accomplishment, though, is in their design. The artists working on the figures were presented with a massive challenge when Infinity launched: how do you take dozens of disparate Disney franchises, from 20th century cartoons to live-action dramas to Pixar computer animation, and try and sell them under the same single brand identity? Their solution was a masterstroke. Infinity’s “superhero” look, giving every character strong, hard lines and mildly cartoonish proportions, didn’t just look great in its own right, but served as the perfect template to unify a range of characters hailing from properties as diverse as Star Wars, Pirates of the Caribbean, Toy Story and Tangled. My kids loved these toys because of their in-game properties, but I (and my wife) loved them because they look cool as hell. She bought a bunch of figures “for the kids” just so she could display them on the shelf in our living room, and I’ve got a bunch I also bought “for the kids” that are sitting on my work desk. Some of them look so good that I’d probably have bought them for $10-15 even if they had nothing to do with a video game. Because of all that, I think it’s safe to predict that long after Disney Infinity is gone, its HDD space vacated and its disc lost/trashed/traded away, its legacy will remain. On the toy shelves in my house, yes and most obviously, but I’d like to think it’ll linger in the memories of my kids as well, for whom it was the first (and still the best) video game that they truly played together. Infinity’s failings as both a game and a business venture have been covered enough already, so I won’t get into them here. I just wanted to say a proper goodbye to an important part of my kid’s childhood video game experience, and say that despite its many flaws I thank it for being what it was: a creative, collaborative outlet that didn’t care about winning or losing or stories, it just wanted to get folks on the same couch and have them play.